Ohio Grand Master Terry W. Posey has posted on his blog some more reasons for Ohio’s decision regarding former West Virginia Grand Master Frank Haas. Let us not forget the issues in this case and become so caught up in protocol and procedure that we forget about civil and human rights, inalienable rights given to us by God. And let us remember that no one over rules God. Withdrawl of Recognition by the Grand Lodge of West VirginiaOn April 22, 2010 the following was sent to those member Grand Lodges of the Conference of Grand Masters of North America. I write to provide some explanation of the actions taken by Steubenville Lodge #45, regarding the Masonic membership of Frank J. Haas. Frank J. Haas was Grand Master of The Grand Lodge of West Virginia in 2006. The following items were proposed to be changed by him and those changes passed at the 2006 Grand Lodge Session held in Wheeling, but the vote was abruptly set aside less than two weeks later. This was and is again the current Masonic law under The Grand Lodge of West Virginia. 1. The Grand Lodge of West Virginia forbids the Pledge of Allegiance at lodge meetings. 2. The Grand Lodge of West Virginia is the only Grand Lodge to refuse by law to allow DeMolay, Rainbow, or Job’s Daughters to meet in any lodge rooms. Their lodges are forbidden from donating any money to any charitable organization, including Masonic youth organizations or permitting them to earn money on the lodge premises. 3. The Grand Lodge of West Virginia is the only Grand Lodge in the United States not to belong to the Masonic Service Association. 4. The Grand Lodge of West Virginia forbids the charter of a Royal Arch Chapter to hang in its lodge rooms. No Masonic art that includes symbols of any other Masonic organization except the symbolic lodge can hang in West Virginia lodge rooms (this includes portraits of Past Grand High Priests and Past Grand Commanders). The Grand Lodge of West Virginia has banned books, movies, slideshows, songs, CD’s, an Ohio singer, and websites. 6. Almost no one with a physical disability can be elected to receive the degree of Freemasonry in a Lodge under The Grand Lodge of West Virginia. The cause of the injury, be it military service or anything else, does not matter. The above-referenced reforms were passed as part of the “Wheeling Reforms” at the 2006 Grand Lodge Session of The Grand Lodge of West Virginia but were set aside by the succeeding Grand Master less than two weeks later. That action has brought about the turmoil in the Craft in West Virginia and ultimately resulted in the expulsion of Frank J. Haas, the Grand Master who proposed the reforms. All of these topics have been the subject of much discussion on the websites, including http://freemasonsfordummies.blogspot.com and masonic-crusade.com and blogs and the Philalethes publications. This has also been widely reported in detail in the popular press by the Associated Press and with a color spread in the New York Times. I have observed the situation for two and a half years. In a most respectful tone, I wrote to three Grand Masters of West Virginia and offered my good offices to mediate its conflict. All offers were ignored or rejected. Steubenville Lodge #45 regularly received and investigated a petition from Frank J. Haas to receive the degrees of Freemasonry in that Lodge. He made a full disclosure of the Notice of Expulsion by the Past Grand Master of West Virginia and answered all questions presented to him by the Steubenville Lodge’s Committee of Investigation. The Lodge did the necessary background work, including a home visit. They were convinced that he was a good man and true, and he met all requirements, including residency for the requisite time, for membership. I thoroughly researched the Code of The Grand Lodge of Ohio and determined that there is nothing to prevent his receiving the degrees. Inasmuch as he is an Ohio resident, the Constitution of The Grand Lodge of Ohio confers jurisdiction over his membership to The Grand Lodge of Ohio. After he was unanimously elected to receive the degrees by Steubenville Lodge #45, I concurred with the Lodge that the laws of The Grand Lodge of Ohio had been complied with, and the Lodge proceeded to confer the three degrees of Freemasonry on Frank J. Haas, who for years had been an honorary member of that lodge. On April 17, 2010, he received the three degrees of Freemasonry in Steubenville Lodge. On the next business day, the Grand Master of West Virginia withdrew fraternal relations with The Grand Lodge of Ohio because of the action taken by Steubenville Lodge. The Grand Lodge of West Virginia has withdrawn its fraternal recognition of other Grand Lodges before. In 1991, Charles E. Forsythe, then Grand Master, issued two edicts regarding Prince Hall Masons. His edicts forbade members of The Grand Lodge of West Virginia to be present in Lodges under the Grand Lodges of Connecticut, Wisconsin, Nebraska, State of Washington, Colorado, Minnesota, and North Dakota, all of which had recognized the regular Prince Hall Grand Lodges in their states. 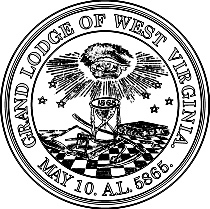 Despite the unfortunate action taken by The Grand Lodge of West Virginia, I am convinced that Steubenville Lodge #45 acted consistently with the Code of The Grand Lodge of Ohio, and I find no fault on their part or that of Brother Haas. The Grand Lodge of Ohio acted consistently with Ohio law. We ask our sister Grand Lodges to respect our law. I have been informed by the Grand Master of West Virginia that this withdrawl does NOT interfere with fraternal relations of appendant bodies and that members can continue those relationships. http://gmohio.blogspot.com/2010/04/withdrawl-of-recognition-by-grand-lodge.html – No Longer live, archive page. One of the other violations Haas was convicted of is discourse with a clandestine Lodge. Haas met with Prince Hall leaders to discuss recognition. He did not go to the Grand Lodge building of Prince Hall nor did he invite them to the building of the Grand Lodge of West Virginia. Rather they met at a neutral site – a hotel. If it is illegal to even talk to Prince Hall Masons then it is impossible to ever negotiate recognition. By codifying non Masonic discourse outside Mainstream Masonry you have institutionalized racism. Years ago I was told by many a Mason to shut up, stop creating such a ruckus and let time heal all wounds, for in time all those racists and all these divisions will disappear as the Old Guard dies off. The years have come and gone and now I am a senior citizen and the Old Guard has died off. But the racism in Freemasonry and the overbearing, over controlling, tyrannical Grand Lodges are still with us. Frank Haas and West Virginia, Atlanta’s Gate City Lodge and the Grand Lodge of Georgia and Derek Gordon and the Grand Lodge of Arkansas have all been with us lately. And tomorrow we will be pointing to another horrific incident in the annuals of Freemasonry. And this will go on and on until we come to some sort of understanding that all the jurisdictions in the U.S.A. are one big family that needs to pull together. We can find a way to do that while still maintaining state jurisdictional hegemony if we put our minds to it, work together and approach this as a problem to be solved rather than something to be ignored because it’s not my jurisdiction. I don’t agree with what was done in W V. However, they seem to stick closely to the ancient landmarks. Which is a good thing. The big disagreement for me would have to be how they treat their own appendent bodies, youth organizations and forbidding profits. Lodge charity should be used for Brothers in need, not public need, our appendent bodies do enough of that. #6 is a ancient landmark and should be universally enforced. The new GM had the right to repeal any changes but his conduct towards a PGM was not brotherly which makes him in violation of his obligations. Wow, what a mess…..This is what happens when you tamper with a organization so much into centuries tradition. I was very pleased to read about the actions taken by you Most Worshipful and the Steubenville Lodge. Bro Haas was treated terrible by his peers in W Va and I’m glad he saw it to better to move than continue in his previous predicament. I have like you followed this story for the past two years. What surprised me was that he was expelled for the reasons you listed, they seem quite trivial to me to warrant such action. We in Colorado like you in Ohio already have and have had those changes in place for years. You are a wise and courageous leader keep up the good work!!! The whole situation makes me ill. I tip my hat, to the Grand Lodge of Ohio, for their forebearance and courage. I was privileged to live in Columbus OH for a year, and I will always remember in fondly. We need a “Bill of Rights” for Masons, to prevent Grand Lodges from trampling the basic freedoms of Masons.